Audiologist Calgary: What Is An Audiologist, And What Do They Do? 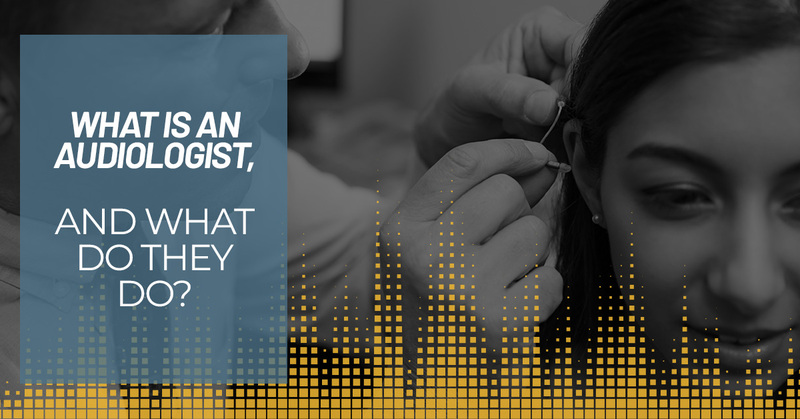 What Is An Audiologist, And What Do They Do? You might have heard of an audiologist before, and you might already know that they help individuals who have difficulty hearing, but other than that, you might not be entirely sure of what they do. That’s OK! The most important thing is you’re seeking education, which we’re sure we can provide you with here. In this blog post, we’ll go over the main things you should know about an audiologist and how audiologists can help individuals with hearing conditions. Audiology Innovations is a trusted, leading provider of hearing tests and hearing loss solutions throughout Canada. Our comprehensive approach is backed by research, experience, state-of-the-art equipment and updated techniques and practices in our industry. We have an audiologist and other hearing professionals on staff who can help you navigate any hearing solutions that might be appropriate for your situation. Have any further questions? Give us a call today. An audiologist is a professional in the health care industry who can diagnose and treat hearing and balance issues for individuals, according to the Academy of Doctors of Audiology. Audiologists typically have to earn either their Doctorate in Audiology or a Ph.D. Doctoral degree in order to practice, so you can rest assured that these professionals have years of education and experience before assessing your hearing condition. Audiologists have the ability to diagnose, manage and treat hearing and balance problems for individuals of any age group, though some audiologists may choose to focus on and specialize in a specific age group. Test your general hearing and balance. Recommend hearing aids or another type of assistive listening device, if necessary. Offer counseling and aural rehabilitation through education or auditory training and exercises. Refer you to a medical professional for more intense issues related to your ear, such as pain, sudden hearing loss and more. Provide education on preventative care and on the effects of noise on your hearing. Not sure if you should get your hearing checked? Learn more about why you should by reading our recent blog post here. If you still have further questions about what an audiologist can do for you, don’t be afraid to reach out to our staff at Audiology Innovations. At Audiology Innovations, our mission is to educate the local community about the importance of hearing tests and assistive listening devices and to help individuals in Calgary who are struggling with hearing loss. We have a dedicated staff of hearing professionals that provide high-quality services, ranging from complete evaluations to hearing aid consultations. We’re a Top Rated Local® hearing clinic for a reason — we always put our patients first. Are you seeking a reliable, knowledgeable audiologist in Calgary? Do you have any further questions or concerns about how an audiologist can help you in your current condition? Give us a call today — we’ll be more than happy to assist you. You can reach our staff by calling (403) 252-4722 or by completing our form online.